MSR Alpine Stowaway Pot, amazing design for the compact footprint of the SilverFire Scout Backpack/Bug Out Bag Stove. 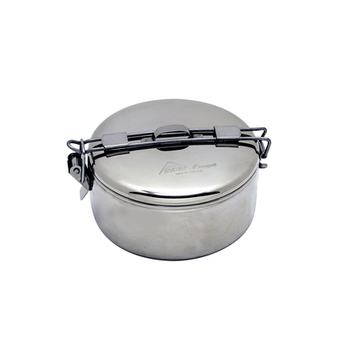 This rugged stainless steel pot is the perfect companion to carry your SilverFire Scout Stove. This MSR Alpine Stowaway 775 ML pot is the perfect footprint for any small pack bag, glove box, or fanny pack. The Folding pot handle locks in place, and ensures your SilverFire Scout is safe. 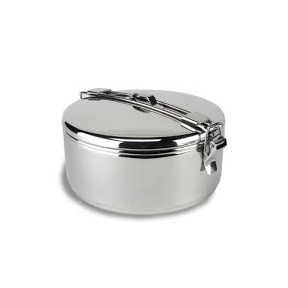 The Alpine Stowaway stainless steel pot is complete with a folding locking lid and time to boil is 5 minutes or less. 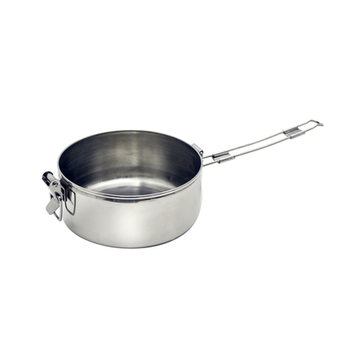 It is the most durable pot in its class and weighs in at 13 oz / 365 gm. Unlike other wood burning stoves, the SilverFire Scout nests together inside the the MSR Alpine Stowaway pot, and quickly assembles into a robust cooking platform. This pot combination could save your life in the field, or in your vehicle glove box, if used with the SilverFire Scout. 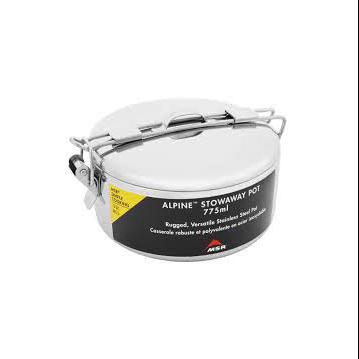 This item for sale is only the MSR Alpine Stowaway pot. The SilverFire Scout stove is not included in this transaction.